It is modular in the sense that you can connect several foundations together (snap together) and build on those. This has already lead to some beautiful creations from players. To build anything you need to collect logs. You can collect logs by swinging your axe at a tree several times. Logs can then be converted to planks, which are needed to build a foundation, walls and a lockable door. After you find a suitable location for your new home, you can build your first foundation. If you're planning on expanding later on, be sure your surroundings allow for more connecting foundations. The foundation you place is a level 1 foundation. When the foundation is built, you can then upgrade it to level 2, but you'll need more planks. 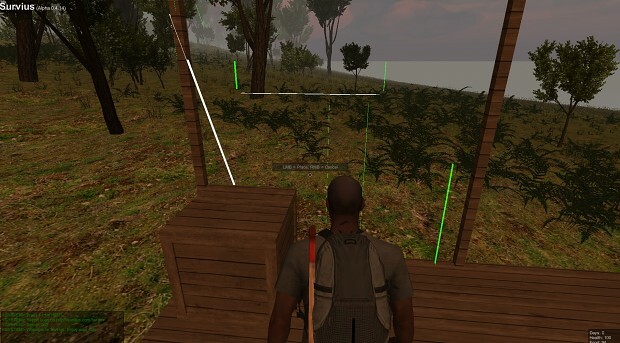 Upgrading the foundation to level 2 adds vertical supports between which you can place walls. Upgrading your foundation to level 3 will add a roof. Walls can be added anywhere between the vertical supports of the foundation. A wall is destructible with an axe, but it takes a fair amount of hits before it gives way. 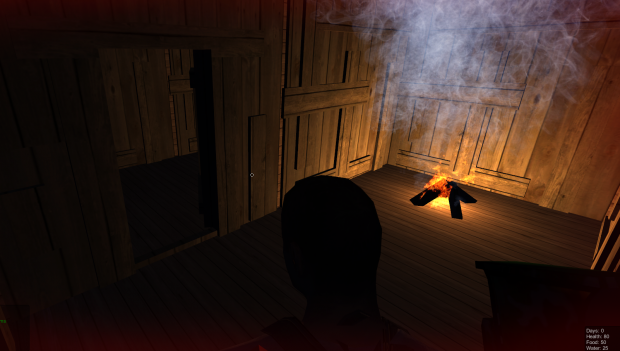 To keep your house and things inside safe from other players, you can place a lockable door. 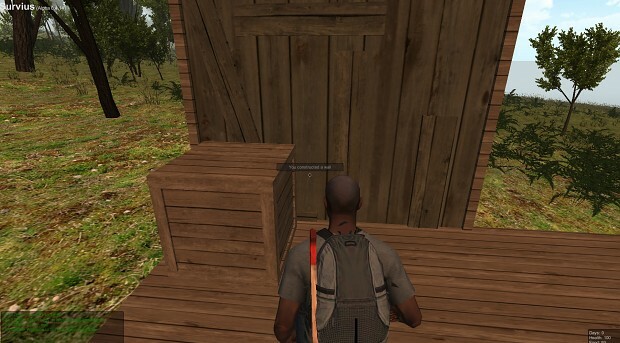 The player that places the door will be the only one that can open it. If you share a house with a friend, he must place his own door. Just like walls, doors can be destroyed with an axe. To store your items inside your house, you can build wooden boxes. These can however be opened by anybody who has access to them. If you really want to protect your valuable belongings, you can build a safe from scrap metal. As with the doors, the player placing the safe is the only one that can open it. 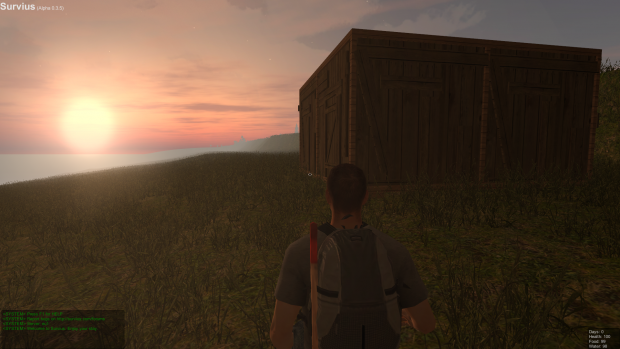 Everything you build in Survius will slowly deteriorate. However, you can reverse this process by maintaining your structure using the 'Update' function. This will reset it's lifetime and keep your building from deterioration.